Rappelling is a technique that allows you to descent down a cliff in a controlled manner using a rope. It comes from a French word rappel which means “to recall”. In Europe this technique is usually called abseiling which comes from the German word abseilen, meaning “to rope down”. 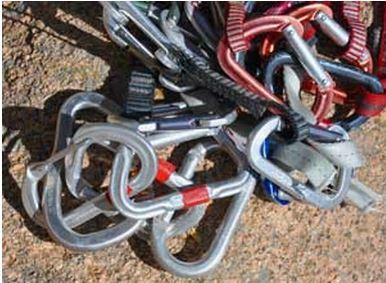 It’s one of the most dangerous techniques and the cause of many climbing accidents. It is categorized into skill based technique. Therefore it is very important to learn the essentials of rappelling before trying it out. The following post will give you an idea about things you need to know before going on this expedition. Rappelling is usually carried out using artificial anchors like cams, pitons and bolts or natural anchors like trees and boulders. 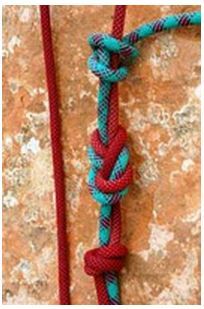 Usually the rope is either doubled with the midpoint at the anchors or tied to another climbing rope. 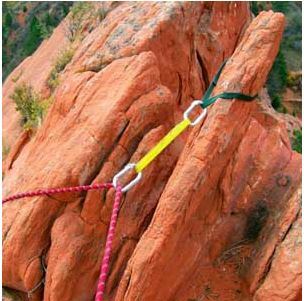 The climber uses then uses a rappel device which utilizes the friction of the rope through the device to control his descent down the cliff. Atleast three bombers anchors are preferable to rappel off a cliff. Anchors can be bolts, cams, nuts, pitons, trees or tied off boulders. 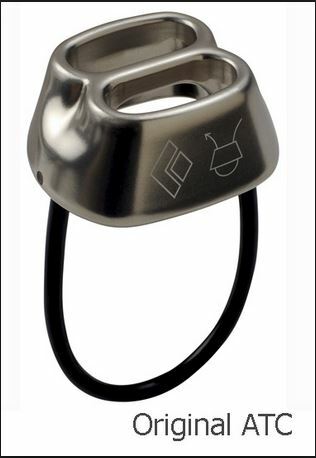 Rappel ropes are threaded through metal – carabiners, quick links and steel descending rings. While rappelling, you use either one or two climbing ropes, which are threaded through metal anchor material. It is always recommended to use doubled single rope to be safe in situations like knot failures or rope getting jammed in the anchors when you pull it. 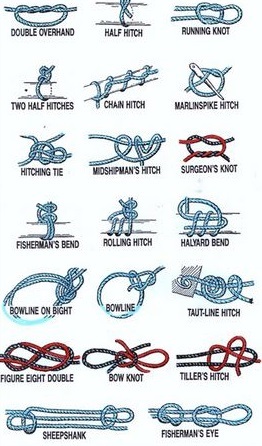 Ropes are tied together with one of the four rappel rope knots namely – double figure-8 fisherman’s knot, square fisherman’s knot, double overhand knot and double fisherman’s knots. Autoblock knot and stopper knot are used as safety backup. It is a best practice to use rappel device like an ATC (air traffic controller) or figure-8 descender. Pulling ropes down after rappelling should be easy if you have carefully checked the system and avoided possible hang-ups and tangles. As you pull the ropes, pay attention for falling rocks that ropes could dislodge. Wear a helmet and keep your head down so a flying chunk doesn’t hit your face. The best to check is to use buddy system and check each other’s harness and rappel setup. Check carefully the anchors, the slings on the anchors and make sure the knot connecting your two ropes is tied correctly.